FILE - Sundar Pichai, senior vice president of Android, Chrome and Apps, talks during a conference during the Mobile World Congress, the world's largest mobile phone trade show in Barcelona, Spain. Analysts are expecting the company’s new flagship Nexus phones from LG an Huawei. The Nexus 6P, starting at $499.99, is Huawei's first Nexus device. The Nexus line gives Google a chance to show off the features of its new Android software. Most device makers and carriers customize Android, but Nexus phones run an unchanged version. 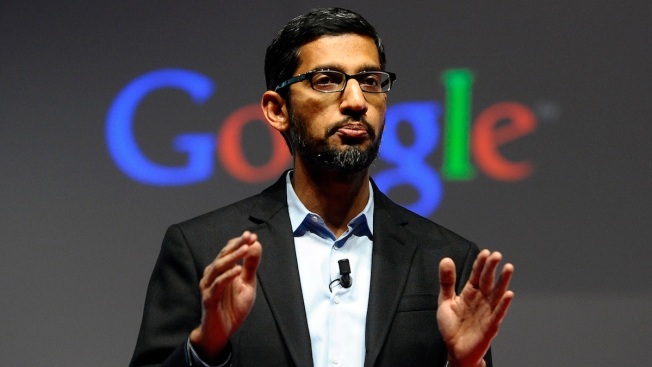 It’s an important time for the company, as it will be the first time Sundar Pichai will make a presentation as CEO. Investors will be looking for any signs of change in Google’s business.